Novelty Cakes – Cakeboys cake designers in Alberton, Johannesburg area. We at Cake Boys pride ourselves on our intricately detailed novelty cakes. Be it a friendly Mickey Mouse or an adorable Hello Kitty, our cakes will leave you wanting more; we custom make them to suit your requirements. Nothing ever says “Birthday” quite like a birthday cake. What is a party without cake? That’s why we believe you should have your cake… and eat it too. What is a novelty cake? A novelty cake is a unique cake made to represent an iconic moment or symbol so it can resonate with the hearts of our clientele. At Cake boys we offer a variety of such novelty cakes using: vanilla, chocolate, marble, and the famous Red Velvet. Chocolate cakes date back to 1764 where they contained ground cocoa beans. The devil’s food cake became very popular in the 1930’s and typically contained cocoa for the authentic chocolate taste. Cake Boy’s chocolate cake contains real cocoa to ensure you get the real chocolate cake you deserve. These are one of the many examples which set Cake Boys apart from the other bakery. 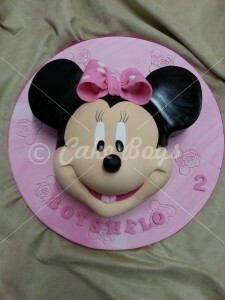 Cake Boys have broken away from the typical mould of a round cake to a modern contemporary look. 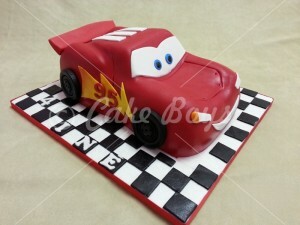 We can shape it any way you like, from Disney’s Lightning McQueen roaring red car, to a Mickey Mouse Club House cake and many other fun and funky novelty cakes. Why settle for the dreary cakes of the typical bakery when you can bring the Cake Boys luxury novelty cakes to the table? Cake Boys offers a huge variety of novelty cakes, visit our galleries to see some examples of our work for all types of people. Feel free to have a look and contact us to order your Novelty cake today.